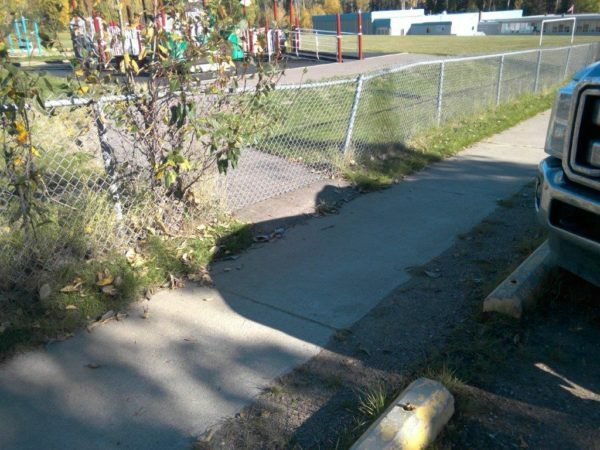 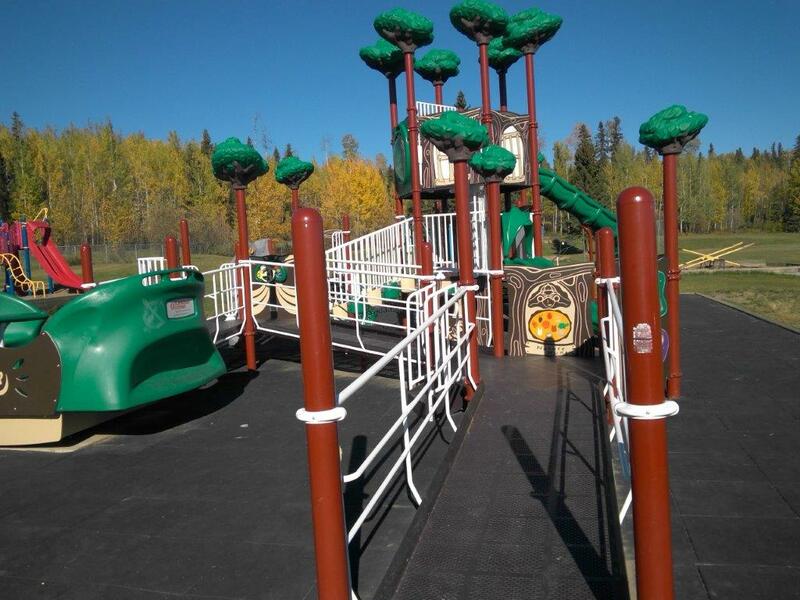 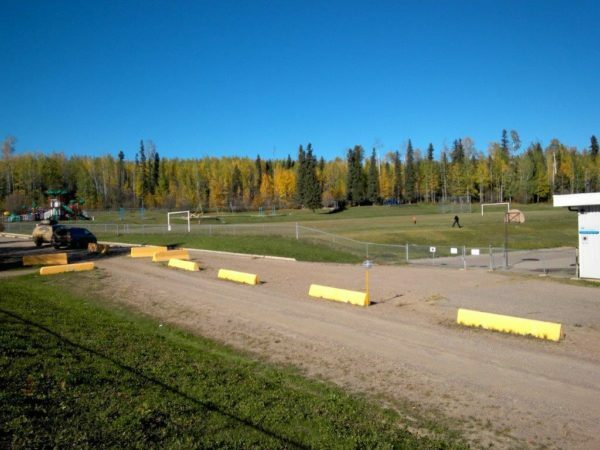 G W Carlson Elementary School is located at 51st street and Sunset Dr. in Fort Nelson BC. 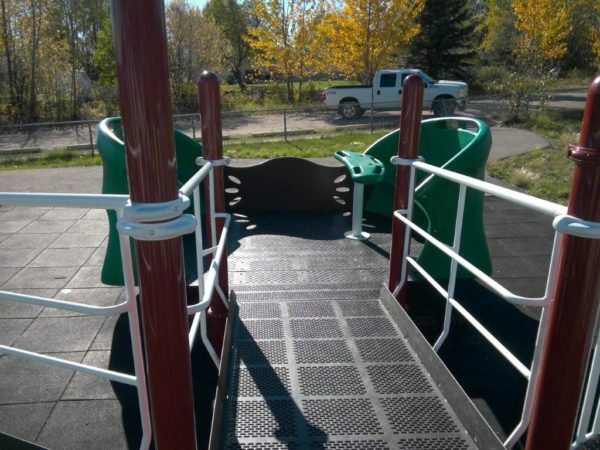 It teaches K – 4. 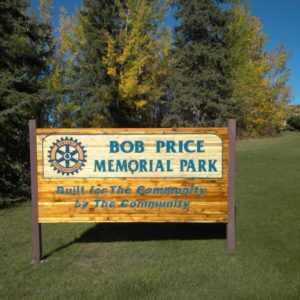 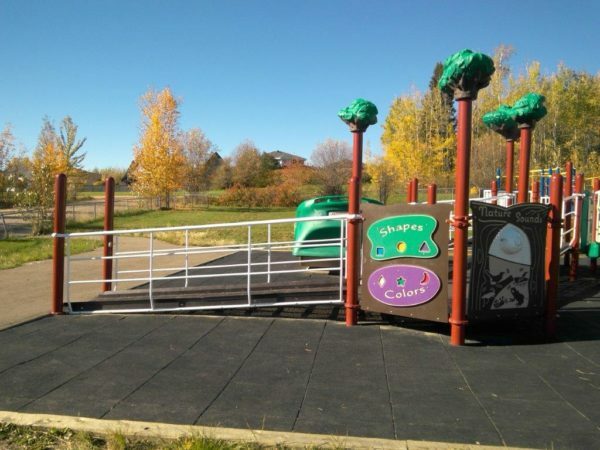 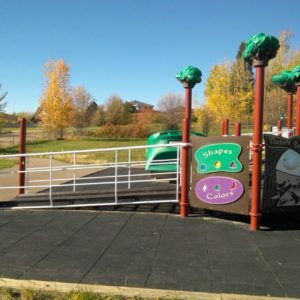 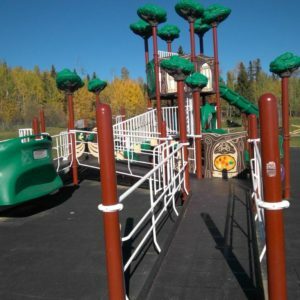 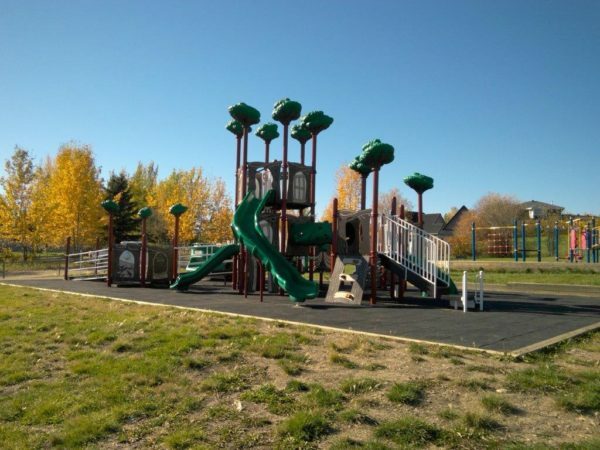 It has a number of play spaces spread throughout a large field and it has an accessible play space that has many features that would be accessible for a child in a chair. 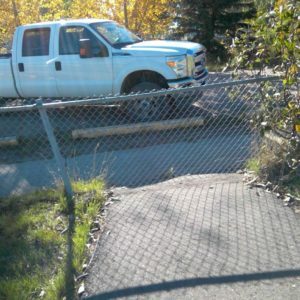 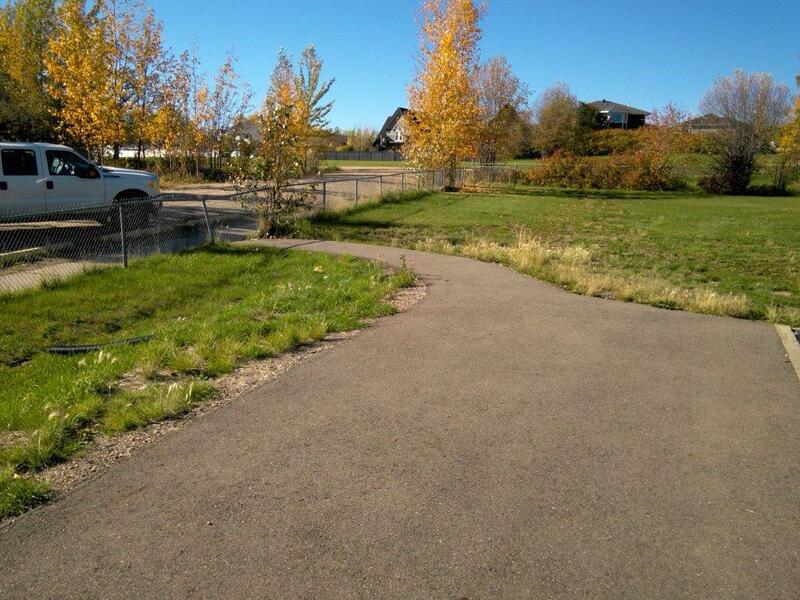 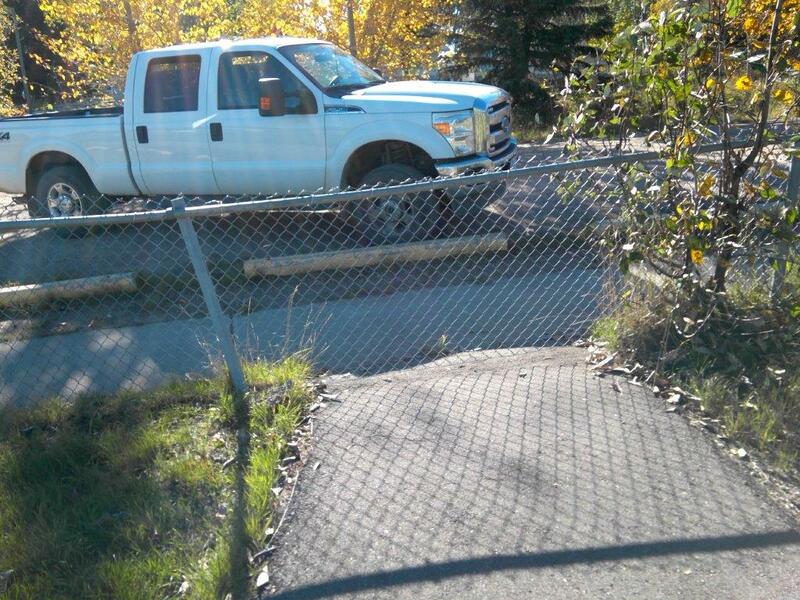 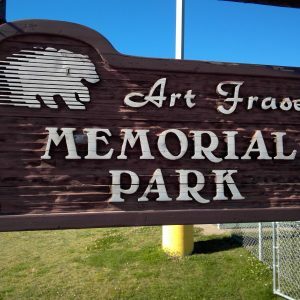 Unfortunately the beautiful paved path that leads from the parking lot, is blocked by a chain link fence. 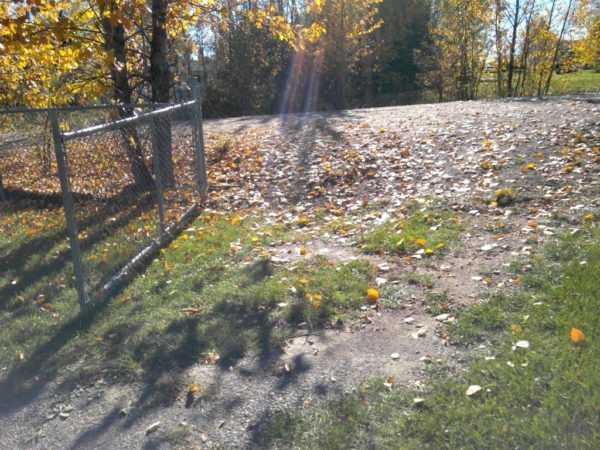 From the school, a child would have to roll across the basketball court, climb a steep hill, cross the soccer fields, roll up another hill to access the accessible play space. 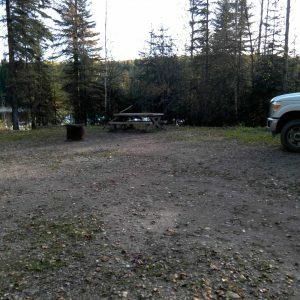 It is not serving it’s purpose the way it stands.